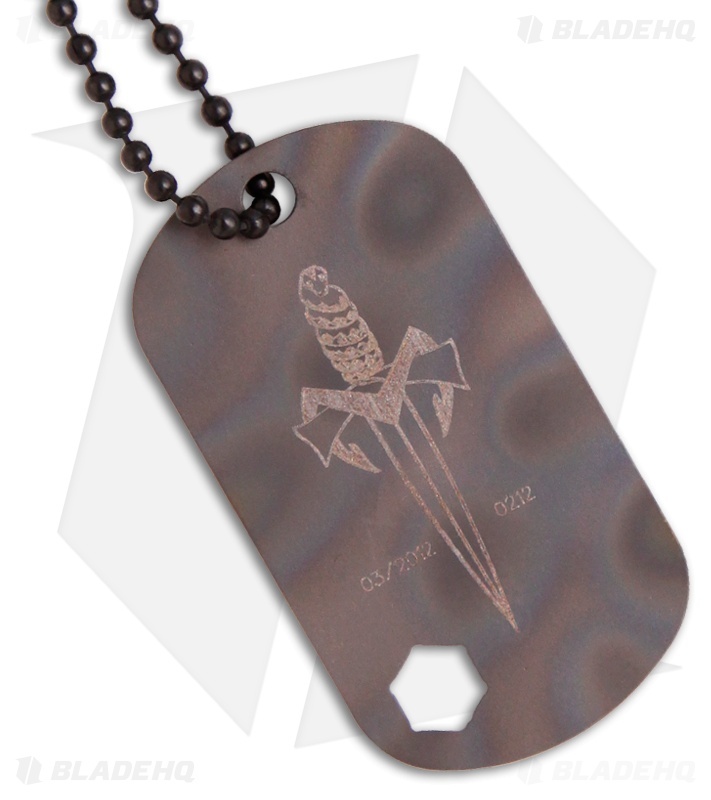 This Dog Tag from Microtech is heat striped titanium with the Dagger logo, date and serial number on front and signature on back. 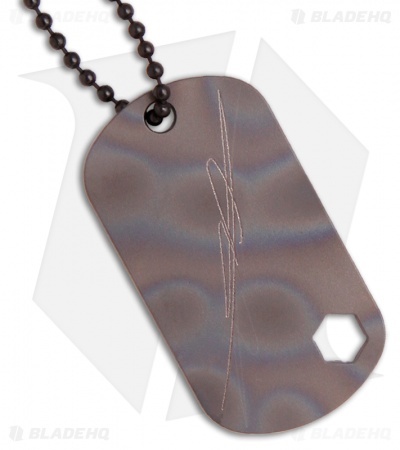 Has 1/4" hex bit cutout and comes with a black ball chain. Measures 2" x 1.1" x 0.06" and weighs just 0.4 oz.